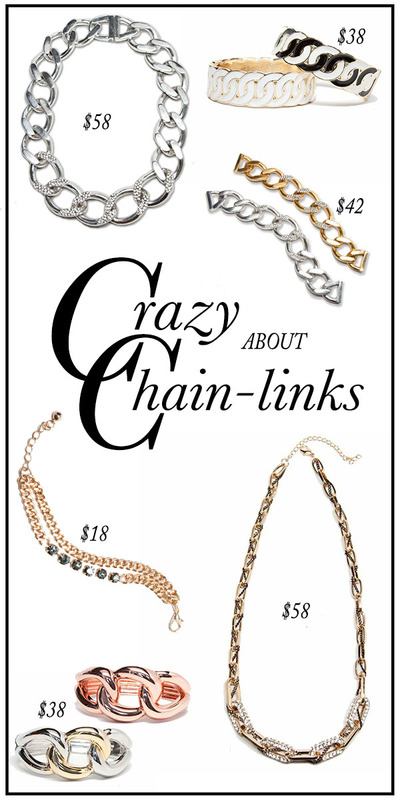 We're crushing hard on chain-links right now and our new arrivals aren't keeping it a secret. These metal spirals nestled one between the other create the perfect go-to piece for any wardrobe. Chunky metal creates a cool focal point and adds texture to any ensemble. Craving more of a feminine look? Our pieces adorned with pave crystals and gems add a pretty touch to an already classic piece. Mixed metals and ravishing rose gold hues add interest to traditional style and black and white bangles that play on the spiral feel can make any look a bit more funky & unique. STYLE TIP: Chain-links are the essential piece when it comes to layering your accessories. We love stacking them on our wrists with bejeweled bangles and our favorite watch or pairing a simple chain-link necklace with a statement piece (like this one) for an instantly chic look. Check out all of the pieces featured above & more here! 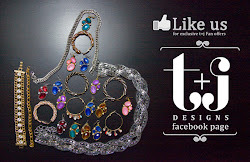 What is your favorite way to wear chain-links?